The 3rd phase of the 5th Upazila Parishad elections is being held in 117 upazilas in 25 districts today. The polling has started from 8 am and will continue till 4 pm without any break, report BSS. About 1,376 aspirants, including 358 for chairman, 604 for vice-chairman and 414 for women vice-chairman posts, are contesting in the third phase polls. Though the election to chairman, vice-chairman and reserved vice-chairman posts is being held under party banner, ruling Awami League has kept the vice-chairman and reserved vice-chairman posts open to all without giving party nominations. About 2.47 crore voters will exercise their franchise in the elections is being held in 10,018 polling centres in 117 upazilas. 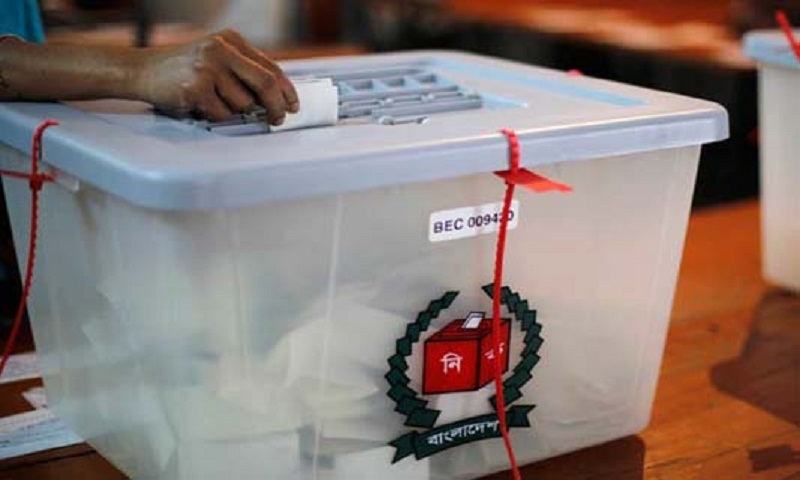 Electronic voting machines (EVMs) is being used in the polls in several upazilas while a general holiday has been announced today in the respective upazilas. Additional members of the law enforcement agencies will be kept deployed till two days after the polling day from two days before the polling day to hold the election in a peaceful manner. Though the third phase election was scheduled to be held in 127 Upazila Parishads under 17 districts in five divisions, there will be no voting in six upazilas as candidates in all posts were elected unopposed in those six upazilas. Besides, polls to two upazilas of Cox’s Bazar Sadar and Narsingdi Sadar have been shifted to fourth phase of elections. The fourth and fifth phases of the Upazila Parishad elections will be held on March 31 and July 18 respectively.